Renowned architect firm Kengo Kuma & Associates, whose prominent works include Malaysia’s Petronas Twin Towers, has been tapped to design a new high-rise complex in the Russian capital, adjacent to the new business district of Moscow City. The project will be the first urban plan in the capital to take the form of superstructures instead of individual buildings, according to architecture news website ArchDaily. 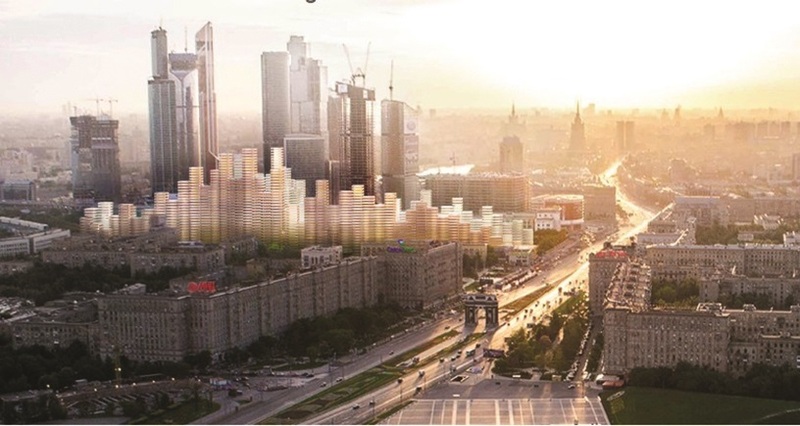 The complex will follow an open courtyard concept where the elongated building structures will frame a wide promenade directing pedestrians to the nearby Moscow River. Public and community spaces will also be integrated throughout the project along with an underground parking deck and indoor garden. On the outside, the building facades will be constructed from matte anodised aluminium to reflect sunlight and create an effect of lightness and transparency. The project’s location is very important because it is near the Moscow River which is the new centre of activity. The project aims to combine the expansive boulevard and the riverside and it will dramatically change the location’s urban environment. The architect firm said there are factories and warehouses on the riverside and these buildings block the river from the city but people would want to enjoy nature and the river. for a long time, of industrial buildings separating nature, a river or ocean and a city. In Europe, people face the same issue when buildings are separating nature and the city. “Our project in Moscow is kind of a ‘gate’ which connects the city and the river. This kind of new prototype which will connect nature and the city can be the new prototype for every city in this century,” it added.